Do you sometimes struggle to remember where your keys are? Or if you switched off the oven? Fortunately, our immune systems don’t suffer the forays into the world of blankness that our heads sometimes do – our bodies’ natural defences actually have a remarkable capacity to recognise infectious diseases that we have encountered before and fight them off in double-quick time. Now a group of scientists from Germany have been hard at work trying to figure out how the immune system works, more specifically dealing with so-called ‘memory’ T-cells. Disease-causing invaders such as viruses, bacteria and parasites, have certain biochemical markers (usually proteins) on their outer surface, which can be recognised by some immune cells (known as antigens). Most human cells (as well as the trillions of bacteria that live in the body without causing harm) also display biochemical markers. Some of our immune cells display a set of biochemicals on their outer surface (receptors), each of which interacts with a specific marker. Immune cells generally don’t react when they encounter cells that are supposed to be there, but if their receptors interact with a marker which is foreign (i.e. an invader), a cascade of biochemical reactions will be initiated within the immune cell. 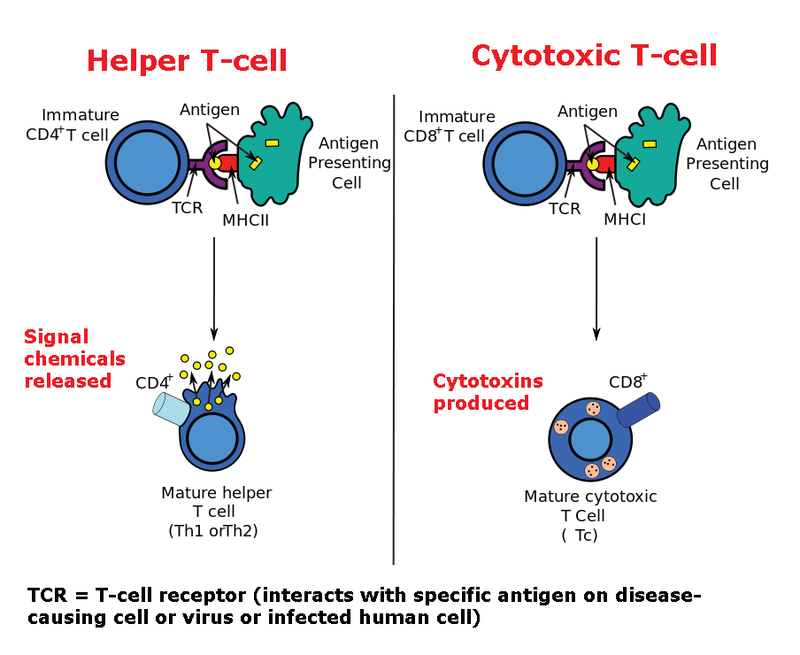 Depending on the type of immune cell, it can respond by either producing chemicals (known as antibodies) to destroy the invader (B-cells), killing infected human cells (cytotoxic/killer T cells), producing biochemical signals to amplify the response (B and T helper cells) or by engulfing and digesting the foreign body (macrophages). 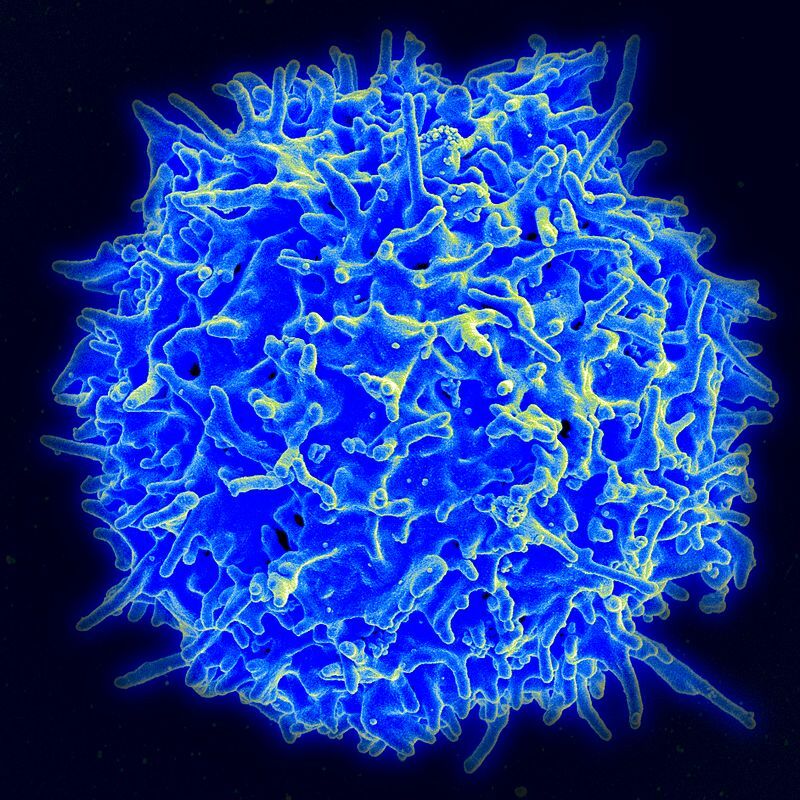 Some of the immune cells are also programmed to quickly multiply in order to overwhelm and fight off the infection. After an infection has been fought off, most of the immune cells die off (because they are no longer needed), but a small population of cytotoxic and helper cells will be maintained as ‘memory’ cells. Keeping these cells means the response time of the immune system will be quicker if the same invader appears again. 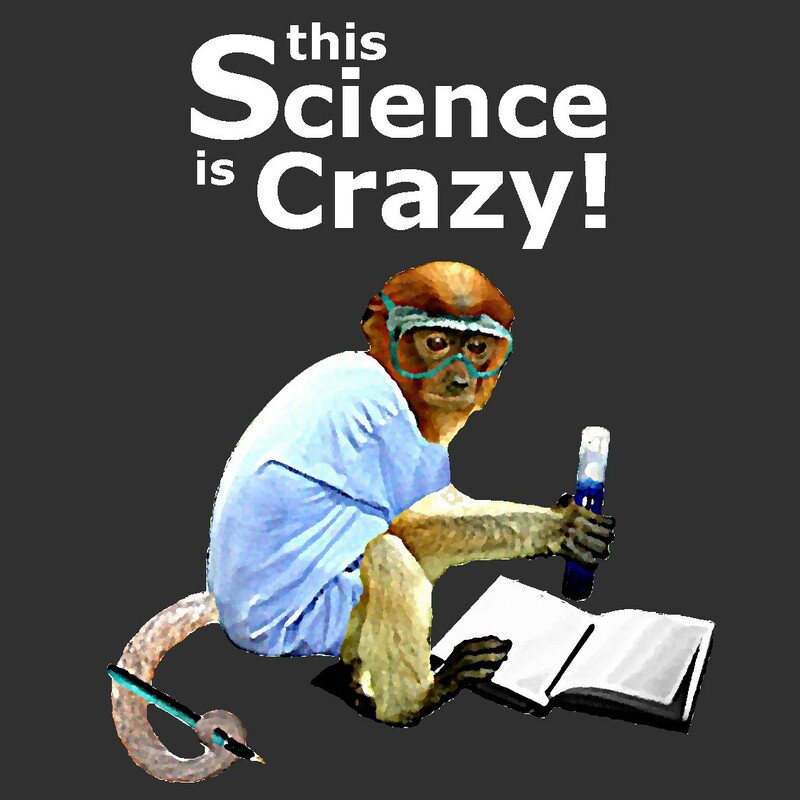 Vaccination works by providing the antigen of a virus or bacterium (not the active virus/bacterium itself) so that an immune response is stimulated and memory cells are created. Memory cells are known to reside in the bone-marrow and in tissues where invaders are likely to enter to body, such as the skin and mucous of the lungs and intestines, as well as circulating around in the blood. This study wanted to see whether there was a difference between the memory T-cells in the bone-marrow and those in the blood. Figuring out how our immune systems work could help in the development of treatments and vaccines against infectious diseases. It could also help develop treatments for people with compromised immune systems. First, they wanted to look at how the bone-marrow memory T-cells behaved generally compared to those in the blood. They compared samples of blood and bone marrow T-cells from 12 people aged 50-60, looking at the biological markers that the cells were displaying on their surfaces. They then wanted to see how groups of bone marrow T-cells reacted to certain antigens and how they compared to T-cells circulating in the blood. They basically threw antigens from various viruses into samples of blood and bone-marrow T-cells (this time from around 60 donors) and measured the levels of chemical ‘messages’ made by the helper T-cells in each sample. By doing this, they could estimate what percentage of the cells in each sample recognised each antigen. The antigens came from invaders that cause different types of diseases: some were systemic (such as mumps and measles) and others were localised (C. albicans-MP65 and vaccinia virus). Systemic diseases affected multiple organs, or the body as a whole, whereas localised infections attack specific organs (e.g. vaccinia infects the skin). This means they could test whether the bone marrow T-cells specialise in fighting off particular types of infections. The first thing the researchers found was that T-cells in the blood and bone marrow do indeed behave differently from one-another: the bone-marrow T-cells displayed comparatively few of the markers associated with being in active phases (dividing). The scientists estimated that more than 98% of bone marrow memory T-cells were ‘resting’ in the so-called G0 growth phase. Most cells split themselves in two in order to make more cells, but can only do so a finite number of times before they are forced to commit suicide (apoptosis). This is done to prevent potential mistakes in copying the genetic code when the cells divide. But a cell that doesn’t divide, but is held in the G0 phase, can live for many years as long as it continues to be supplied with food and oxygen (the researchers reckon they live for ‘presumably decades’). So the scientists reckon that having so many memory T-cells in this condition suggests that the bone marrow acts as a long-term memory store for the immune system. The bone-marrow T-cells generally gave much higher responses to the virus antigens than the blood T-cells. The scientists estimate that, for systemic viruses, there are 5-20 times more memory T-cells to recognise them in the bone marrow than in the blood. This reinforces their theory that the T-cells in the bone-marrow are a long-term memory store rather than those in the blood. The bone-marrow T-cells produced relatively strong responses to the systemic infections, but for localised ones, the results were similar to the blood T-cells. The researchers suggest that many memory T-cells for these diseases reside in the parts of the body which the viruses use as their route of infection (i.e. where they are needed most). 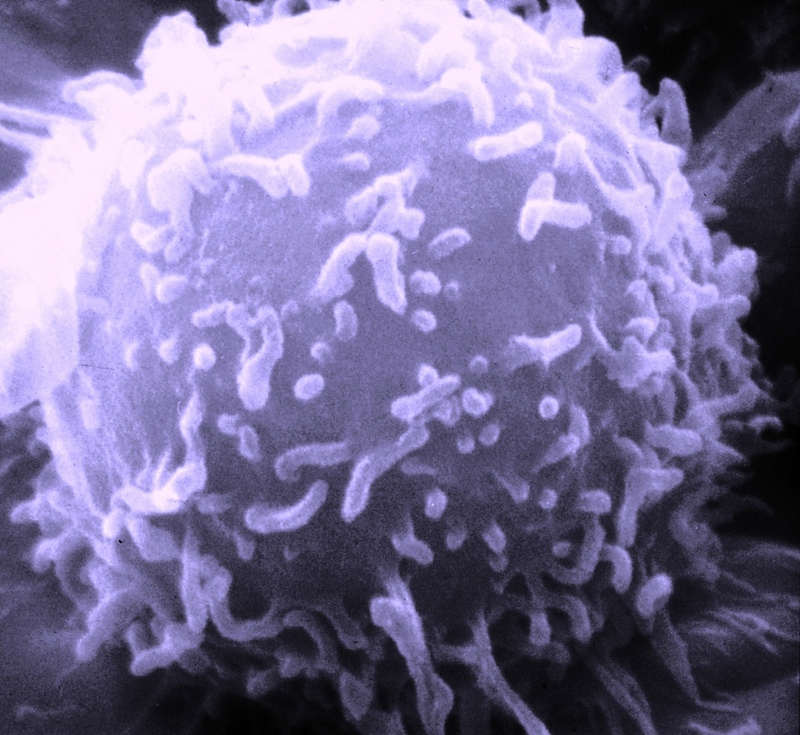 This suggests that the bone-marrow T-cells specialise in systemic infections, while other organs’ T-cells concentrate on the invaders most likely to infect them. The researchers claim that showing that the bone marrow memory cells are predominantly in the ‘resting’ phase, and can retain memory of a specific antigen even after most of the blood memory T-cells have disappeared. They say it is a ‘drastic reversal’ of the current theory, which claims that ‘memory T-cells recirculate throughout the body to find their cognate antigen’. This study could prove to be important in understanding how our immune memory and immune responses work – essential knowledge in understanding how our bodies react to infectious disease. The idea that our immune system ‘remembers’ previous infections is not new – certainly vaccination has existed for hundreds of years, but there is still clearly much more to understand about how it works. This study might just have taken us a step closer.